Rajasthan RSEB AEN / JEN Recruitment 2019 Syllabus, Exam date , Admit card for RVUN, RVPN, JVVN, AVVN, JDVVN: Department of Energy of Rajasthan Government will conduct a selection procedure for recruitment of Assistant Engineer (AEN) and Junior Engineer (JEN) by Rajasthan Rajya Vidyut Utpadan Nigam Ltd (RVUNL). 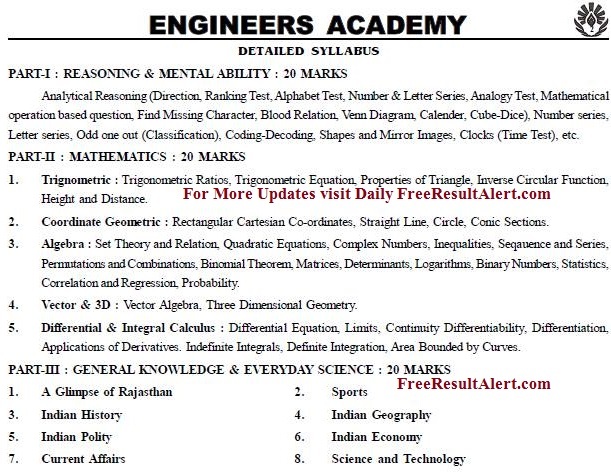 The electrical, mechanical, civil students download the pdf from Rajasthan JEN Syllabus 2019, RVUNL AEN Syllabus 2019, Chemist Syllabus, Fire & Safty Syllabi. 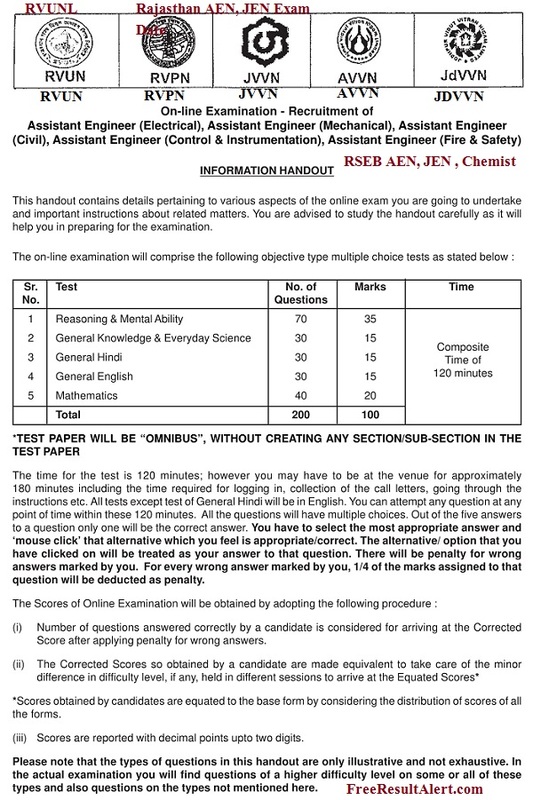 Latest syllabus & Admit card Link for AEN, JEN, Chemist 2019 is given below. NOTE : AEN, JEN & Chemist Syllabus 2019 are Same. They have now released a notification on their official website for recruiting in their department eligible, talented, deserving and interested candidates as AEN and JEN. Those who wish to join the Govt by reading Rajasthan RVUNL JEN Syllabus 2019. Jobs in the state of Rajasthan may apply for this. Interested candidate may apply for these positions. To get frequent information about recruitment, you must check the Rajasthan Energy Department’s official website daily. Games & Sports, Indian Polity etc. With Special reference of Rajasthan. Can u plz tell me the the time gape between pre. And main examination for AEN? Is ece candidate allow in jen. Job rajesthan ki …exam …other state…. Inohone to Berojgaaron ko ..fully foket samajh liya hai…. rajasthan badal raha h…………………………desh bi badle ga………. Maths ke topic kya h..
Sir can u please provide topics in general Hindi& English…. Sir I have payment through sbbj debit card. Payment is debited 2 times and showing transection is cancelled. And application is not submitted yet.